Holiday cooking does not have to be complicated. 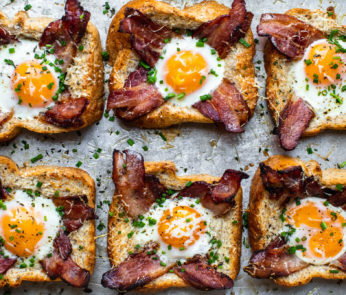 Any weekend breakfast for a big family can be easy with this recipe. A Strata is an easy way to feed a crowd. 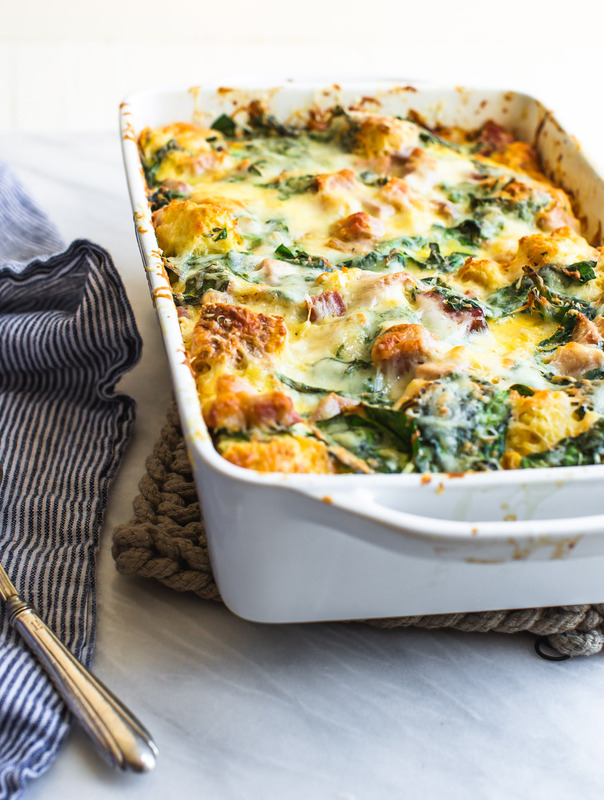 This simple Strata with Easter Ham can be made on Easter morning, taken as a side dish for Easter dinner or whipped up the next morning with leftover ham. 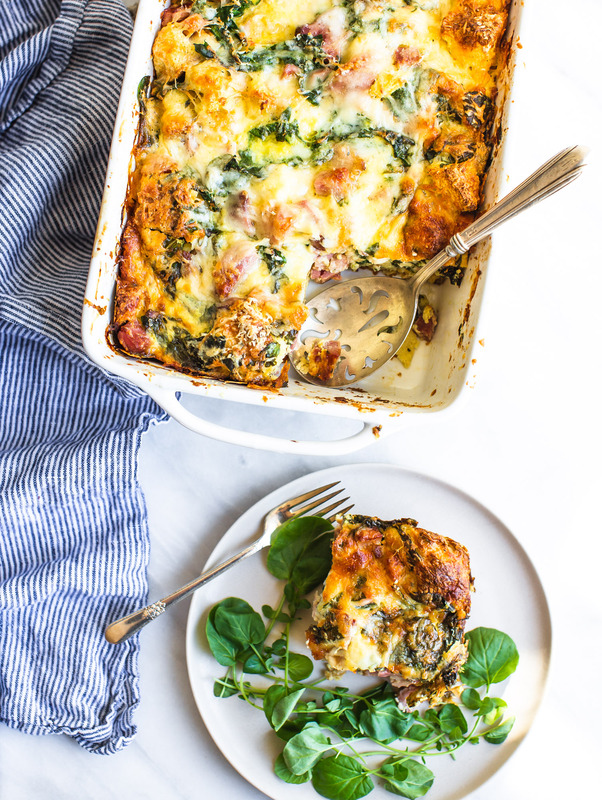 This dish has a warm custardy texture with ham, spinach and creamy cheesiness in every bite. You can change up the seasonings to suit your taste but, made as directed, there is a perfect balance of sweet and savory. My kids know how important family time around the dinner table is to me and Mark. 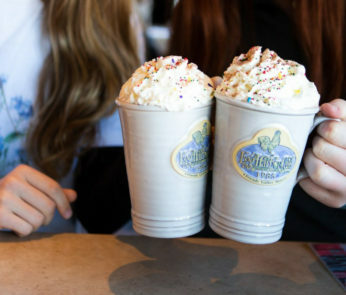 It is a time to gather, connect and share. It makes me sad when meals are rushed. Today there is so much competing for the dinner time slot. Work, sports, homework, school activities. Sometimes we need to adjust our lives to be sure we can gather for a family meal. Breakfast works! 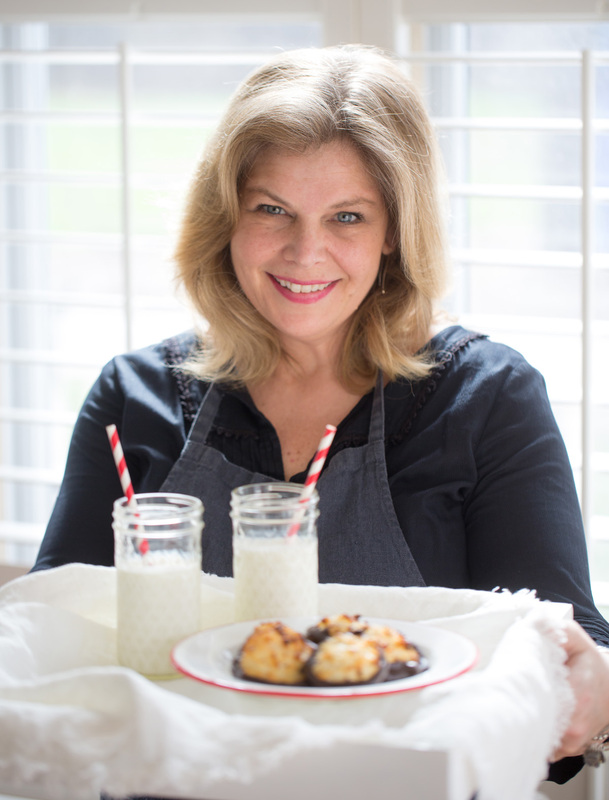 This recipe is delicious enough for a holiday but also perfect for any family breakfast. 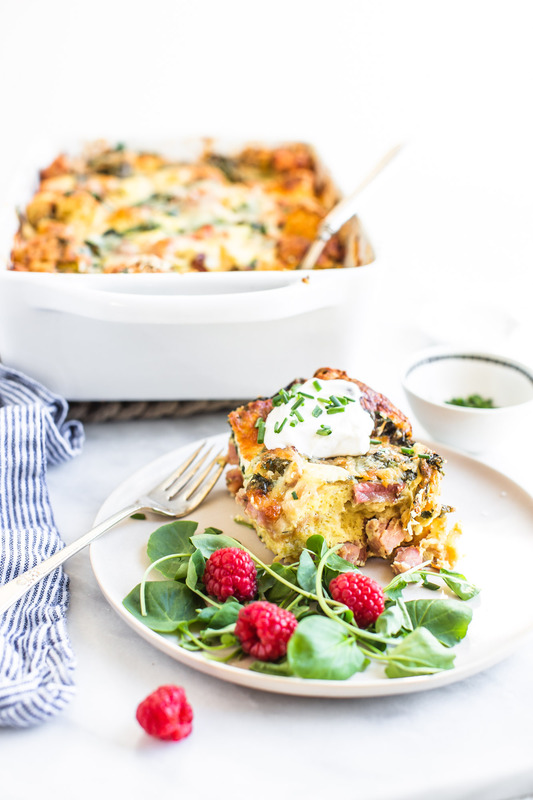 It can be made the night before and simply baked and served for an easy morning family meal. 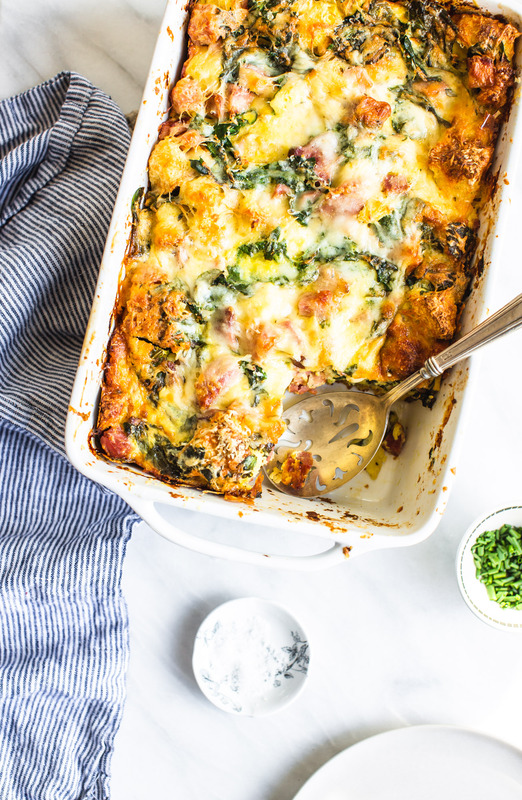 There are plenty of bread-based casserole recipes out there, from brunch stratas to deliciously sweet bread puddings. How do they differ? The terms are often used interchangeably and, judging from appearances, you may think they are just the same. 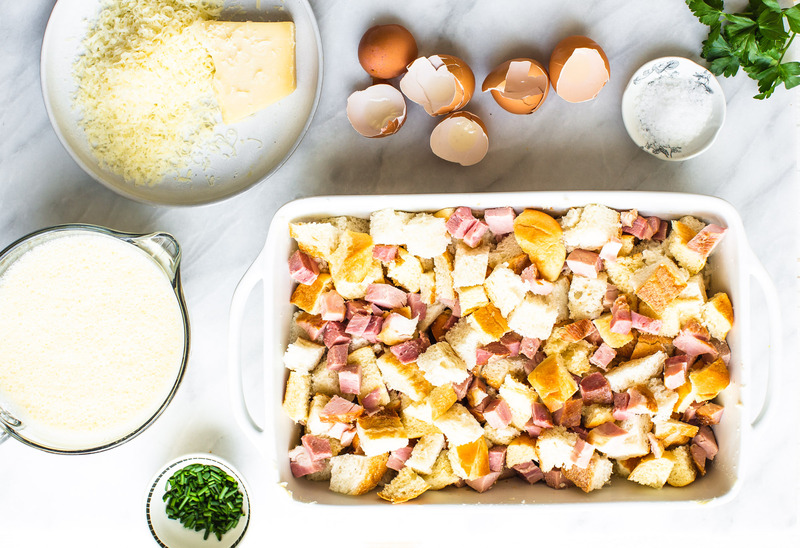 A Strata is a kind of bread-based casserole that is made with eggs and milk or cream. Stratas usually have more eggs than cream, giving them a more egg based consistency and flavor. 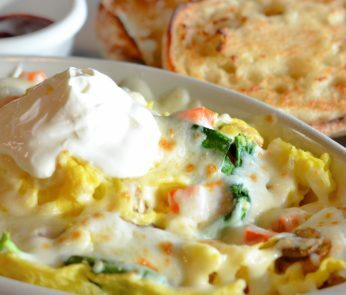 Strata’s are often favored as part of a brunch spread. They are usually savory, but can also be sweet. Bread Pudding is also made with eggs and milk or cream, bread pudding usually has a more equal ratio of eggs and milk. This makes the interior custardy and soft with a milkier flavor. Bread puddings follow the opposite rule of stratas: they are usually sweet, but can sometimes be savory. 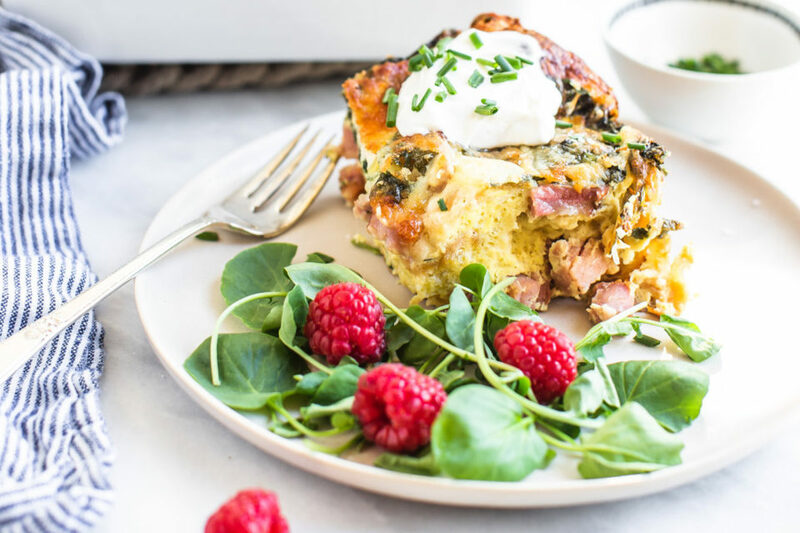 A Fritata is an Italian version of an omelet. 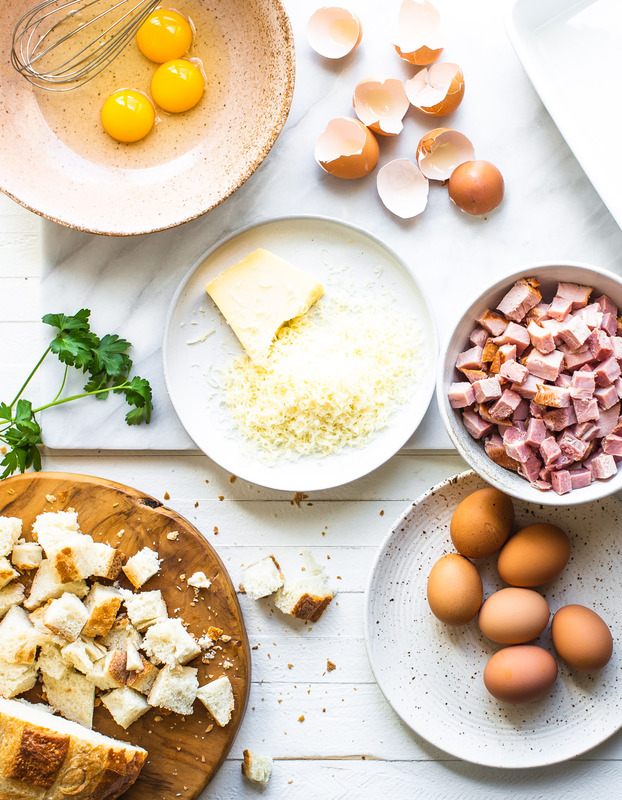 Several portions are usually cooked at once, in only marginally more time than it takes to cook an omelet. There are several techniques, but I favor a quick one that starts on the stove and finishes in a few minutes under the broiler. Fritatas will often include potatoes but seldom incorporate bread in the recipe. In an 9×10 high walled baking dish buttered or sprayed with non stick spray, add the bread. 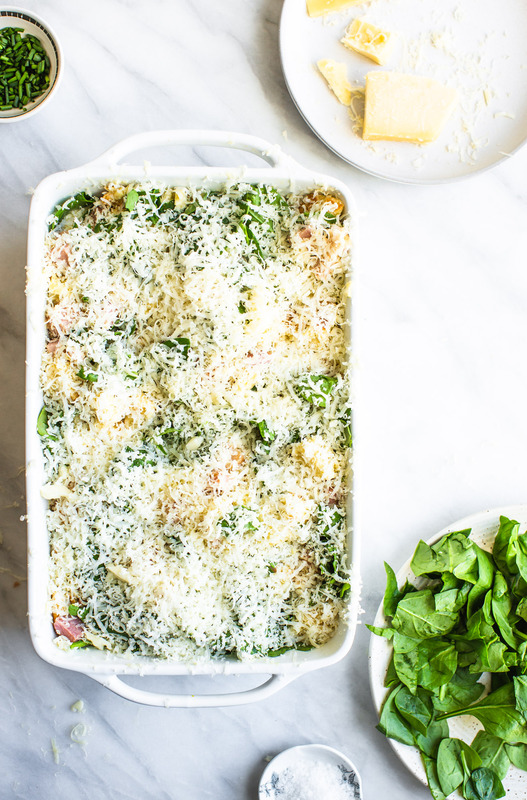 Add half of the chopped ham and chopped spinach into the bread mix. Whisk the milk and eggs together in a larger bowl. Add salt and pepper, vanilla, cinnamon, nutmeg, and thyme to the egg mixture. Sprinkle with the Monterey Jack and cover with the Gruyère cheese. Remove foil and bake an additional 25-30 minutes until the eggs are set. If it starts to get too dark before it is set, cover loosely with foil again until cooked through. Let cool for 5 minutes before slicing and serving warm. Serve with a side salad or fresh fruit. Top with a spoon of sour cream or Lebneh and chopped chives if desired.